Major virtual platforms like Facebook, Twitter, Google, and YouTube provide a nearly endless stream of news and information, and responsible citizens must decide what information is most useful. But since the 2016 presidential election, relying on social media platforms to aggregate the news has become a bit more controversial. In 2017, the House Intelligence Committee revealed that a Russian company with ties to the Kremlin ran divisive and dishonest political advertisements on Facebook. Scrutiny from both Democrats and Republicans prompted Facebook to take the possibility of “#FakeNews” and foreign government election interference very seriously. So seriously that Facebook is employing fact-checking measures and removing or reducing distribution of links deemed likely to spread false information. To manage this problem, Facebook turned to the International Fact-Checking Network (IFCN) to decide what groups it will contract out as third-party fact-checkers. While Facebook believes the group is politically neutral, IFCN has been supported by the left-wing Poynter Institute, and its “fact-checking” affiliates—such as PolitiFact, Factcheck.org, and the Washington Post—skew decidedly to the Left. 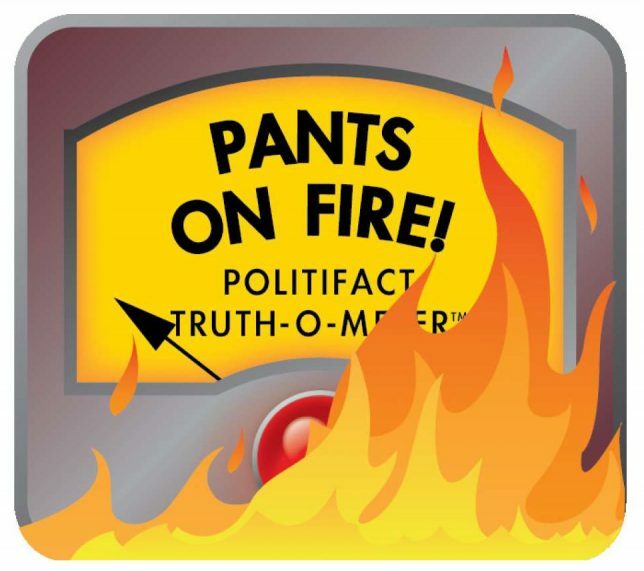 According to empirical studies, PolitiFact alone is at least three times more critical of a conservative than of a liberal for the same statement. Google noticed IFCN’s bias and ceased its own partnership; Facebook seems undeterred. Many conservative groups raised alarms that empowering fact-checkers could lead to biased censorship, since Facebook’s staff and leadership are notoriously progressive-liberal. By flagging stories as “fake,” fact-checking publications can reduce the reach of publications “by over 80% on average” according to Facebook’s own projections. Indeed, some conservative outlets report this practice has substantially affected their readership. But on September 11, 2018, a liberal outlet called foul on Facebook’s fact-checking process. ThinkProgress, the news affiliate of the establishment-Democratic think tank Center for American Progress (CAP)—it was founded by top Democratic politico John Podesta and seed funding came from liberal donors including George Soros—complained loudly about Facebook flagging one of its articles, titled “Brett Kavanaugh said he would kill Roe v. Wade last week and almost no one noticed.” This time the lone conservative publication entrusted with fact-checking power on Facebook, The Weekly Standard, reported ThinkProgress’s article for being factually incorrect. After The Weekly Standard ThinkProgress let loose fire and fury for suddenly having Internet traffic—and therefore ad revenue, which provided the Center for American Progress Action Fund, the CAP lobbying arm which publishes ThinkProgress, with $1.3 million in 2015 according to tax filings— intentionally slowed just because some other site essentially declared it #FakeNews. ThinkProgress may be upset that The Weekly Standard has fact-checking power, but it is pants-on-fire wrong when it writes, “No left-leaning outlet has this special ability to ‘fact-check’ other writers’ work.” It is just a rare moment when the Left was punished instead of placated. 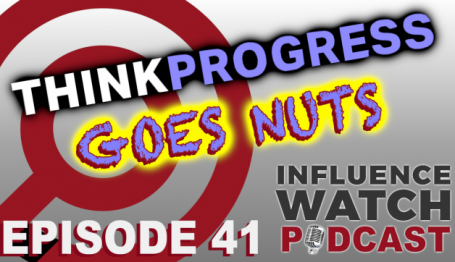 CRC’s Research Director, Michael Watson, covered ThinkProgress’s fake news debacle in Episode 41 of the InfluenceWatch Podcast. The debate about the accuracy of the headline is, frankly, silly—especially when it comes down to the dictionary definition of the word “said.” But the fact that Facebook directs web traffic based on so-called “fact-checking” is a more serious matter. Facebook is enforcing a left-leaning orthodoxy within news reporting by punishing outlets economically, instead of letting readers determine the value of news articles on their own. Even when the professional Left gets a taste of its own medicine, the medicine may still be toxic for everyone. From the perspective of ThinkProgress—or any other publication that writes about controversial issues—it would be better to drop the informational gatekeepers who fact-check articles and rely on the user to make up his own mind. Conservatives can laugh at ThinkProgress missing the irony of the situation, but this should serve as yet another example of the types of problems that can be expected when Americans trust Mark Zuckerberg (or any corporate entity) to decide what should be hidden from our innocent and gullible minds. It is not too much to expect readers to use personal judgement and reason to evaluate the veracity of the news they read. The alternative is a media landscape where fact-checking becomes a weapon to censor discourse and enforce “correct opinions” on a supposedly open-platform. Instead of punishing “fake news,” Facebook could save time, money, and its reputation by investing in media and civic literacy initiatives to help citizens parse out the news and separate fact from fiction, and commentary from reporting. Empowering its users with knowledge and trusting Americans to make up their own minds would save the social network—and the public—a lot of grief.